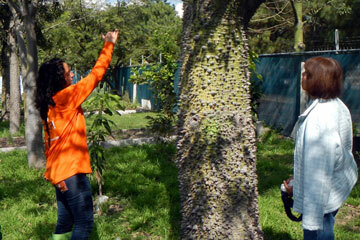 We are with biologist Naila Campos, walking along the Interpretive Trail in Guadalajara’s Parque Metropolitano. Naila has been working in the Park for two and a half years. When we asked about the Three R’s, Naila explained that they stand for “Re-use, Recycle and, most important of all, Reduce.” She urges everybody to reduce the amount of things we’re consuming, and gives kids lots of tips on how to do this. Indeed. This is not a museum. 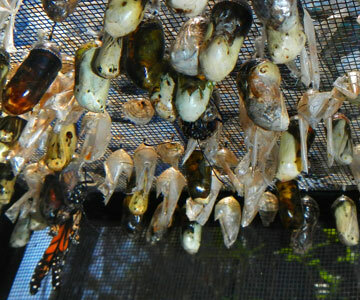 Everything you see here is alive and reproducing and you can spend as much time as you like observing the whole process…with a biologist to answer all your questions, as well! 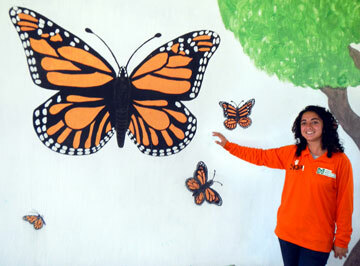 School children come to the Mariposario everyday to see the butterflies and to interact with them. Along with this theme, the Parque Metropolitano offers other activities, such as learning how to start a backyard garden. They also have a most interesting Arboretum where visitors can learn all about the local trees. In addition, there is a large, screened enclosure where a Korean expert in raising bonsais offers classes to anyone interested. Maestro Yoo Hae Sang has over 50 years experience with bonsais and has hundreds of his creations on display a few meters from the Mariposario. Everything described here is found inside an unmarked, fenced-in area obscurely referred to as “Las Oficinas.” This compound is open daily, including weekends, from 9 AM to 3 PM. 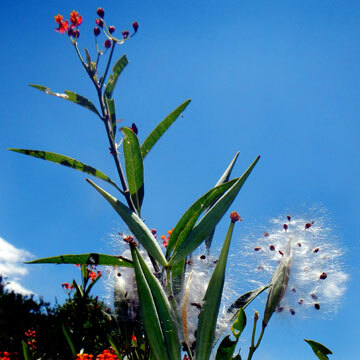 To gain access, just walk up to the entrance (N20 40.617 W103 26.483) and ask to see the Mariposario and/or the Bonsais. From inside Guadalajara, head west on Vallarta. As you pass Rafael Sanzio Street (which takes you to Costco), get into the “lateral” so you can make a left turn onto Independencia Street (right in front of Chedraui). Take Independencia and go south 625 meters to a triangular roundabout in Parque Metropolitano. Here, bear right and go about 150 meters to a parking area. Park and walk northwest 375 meters to the entrance of the park’s “Office area,” enclosed in a Cyclone Fence. 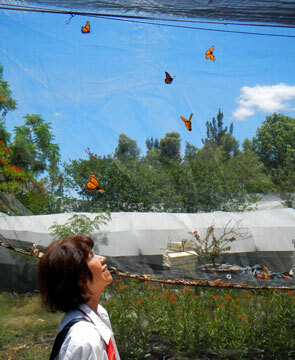 Explain at the gate that you want to see the butterflies (mariposas) and now walk 123 meters south to the Mariposario (N20 40.555 W103 26.462). You can find this route at www.Wikiloc.com (Search for: Vallarta to Mariposario) and download it to your GPS or Smartphone.